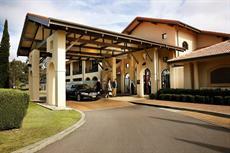 From B&Bs to luxury lodges, Hunter Valley has it all. Featuring unspoilt countryside and world-class wines, the Hunter Valley is a popular getaway destination for people living in the coastal regions of New South Wales. The valley offers visitors a relaxing pace of life as well as the opportunity of enjoying some matchless activities such as ballooning and leisurely bike rides. 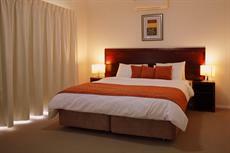 People planning holidays here will find a diverse choice of accommodation to suit all needs. 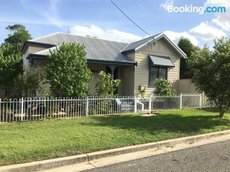 Discerning visitors looking for a holiday venue with all the frills and pampering have a number of Hunter Valley luxury accommodation options to choose from. Cypress Lakes Resort and Château Élan at The Vintage are two of the larger opulent establishments. They are popular with conference organisers and couples looking to stage lavish weddings. Château Élan is at Rothbury and can accommodate 200 guests. It boasts an 18-hole golf course designed by Greg Norman and 20 opulent spa suites. 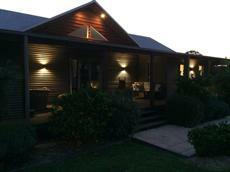 Cypress Lakes Resort is an Oaks operated villa complex at Pokolbin. The well-appointed units are self-contained with fully-equipped kitchens. The Cypress also has an 18-hole-golf course. Most of the villas overlook the fairways. Other Hunter Valley luxury accommodation is mostly the smaller boutique genre with settings in expansive private estates or vineyards. 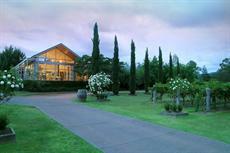 Burncroft Guest House at Lovedale is a homestead refurbished in an elegant style set in a 20-acre garden. It can sleep groups of up to 12 and has its own swimming pool, pitch and putt course, and paddock. Also at Lovedale, Blackwattle Luxury Retreats comprises two deluxe cottages with full amenities including twin-sized baths and wood fires. The views from the cottages’ patios are gorgeous. 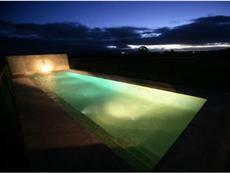 Deja Vu Estate near Pokolbin is a recent addition to the exclusive portfolio. Three villas on the 35-acre plot each come with every conceivable convenience. Among these are four-poster beds, Bose sound systems, spa baths and two open fireplaces. 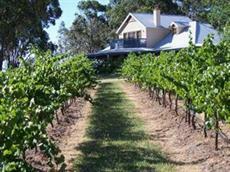 There are many ways to experience Australia's first wine region. Apart from the wineries, there are beautiful art galleries, gardens, bicycle tours and hot air ballooning - simpley a myriad of things to do.